For those of you who can't remember your childhood, UNO is the extremely addictive card game that matches numbers and colors until the winner is left with a single winning card. UNO for Android supports multiplayer matchups via online pairing or locally through Wi-Fi or Bluetooth, and is compatable with all versions of Android, including Honeycomb. If you're using BlackBerry and often change the avatar to give the expression of your moods, I have the website which provides the funny cool pics for your BlackBerry. Do you interested to play the car game? I think some of you will say yes. So, how about truck? Here's another truck battle game. Download Top Truck game to involved in the battle. You can use the monster truck to rush cars, destroy terrain & grab bonus points! Another amusing game available on Android Market for download. Now, it is available on Arcade and Action category. By download Gun Strike APK, you are as a battle-hardened mercenary to fight enemies using a variety of weapons. Now, you have opportunity to have Windows 7 look on your BlackBerry screen. 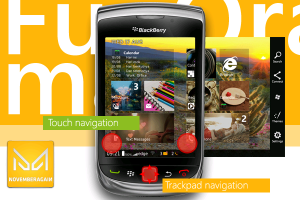 A theme named FunOrama will bring Windows 7 look on the device. FunOrama allows you to set your wallpaper and the icons set themselves. Windows Phone 7.5 aka Mango has been released and ready to be used. If you're WP7 users, you must be waited for this version so long. Windows Phone 7.5 Mango offers 500 new updates including a new music hub and better multitasking.